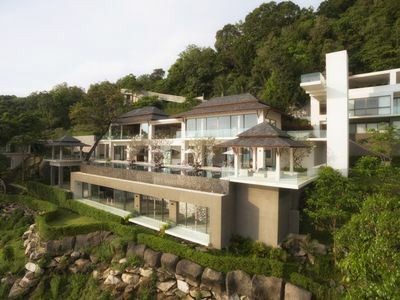 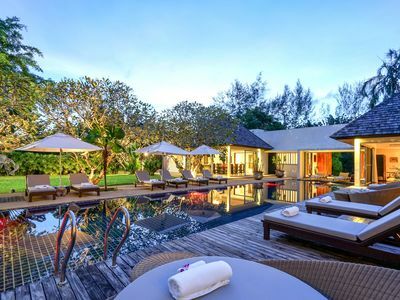 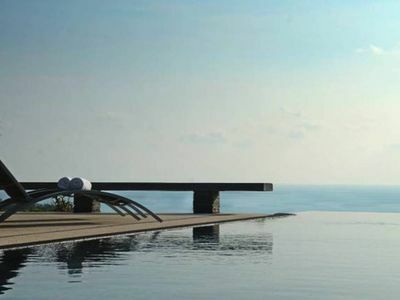 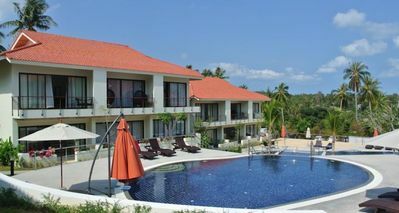 A contemporary and luxurious pool villas complex overlooking Rawai bay. 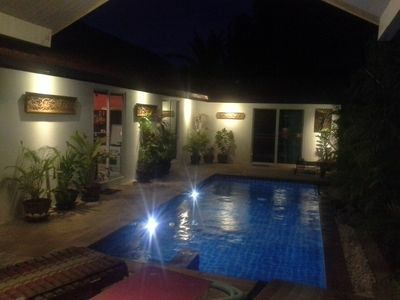 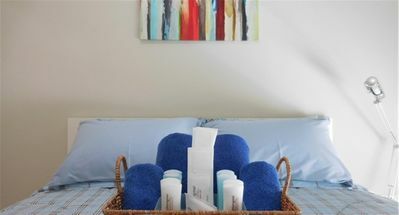 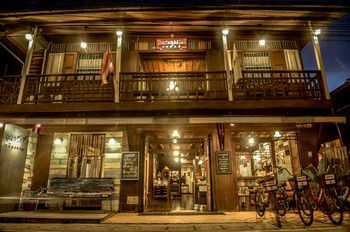 We are located in a private and quiet area of Rawai, South of Phuket. 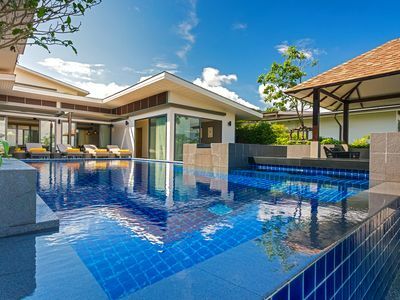 Our villas are designed to create a combination of western technology and tropical Asian styling. 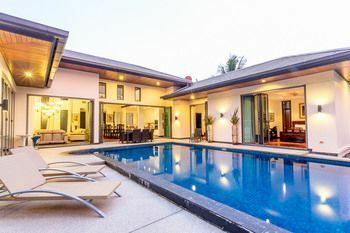 Generous outdoor living areas with overflow pool and a manicured tropical garden will make you relax in a seamless indoor/outdoor living lifestyle. 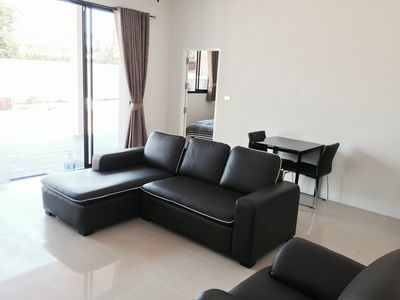 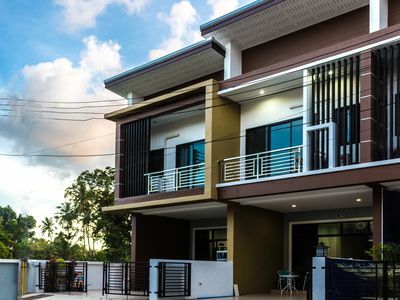 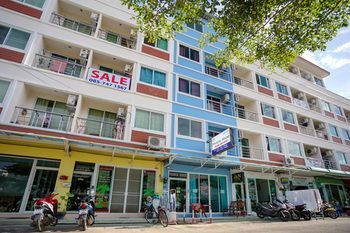 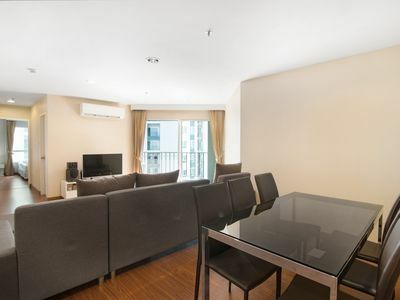 Our Villas are tastefully furnished with all the comfort you could expect (central power generator, LCD TVs, Daikin ducted air conditioning in all rooms, Complimentary satellite channels, High Speed Wi-Fi, fully equipped kitchen, J.B.L Home theater…) and also include car parking spaces with automatic gate. 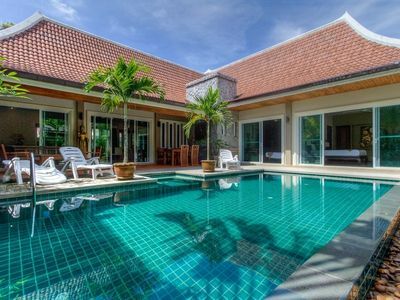 The Villas are available for short holiday stay as well as long term rentals .This popular 4 Bedrooms Villa features 3 large bedrooms by the pool on the main floor and 1 independent bedroom located on the ground floor. 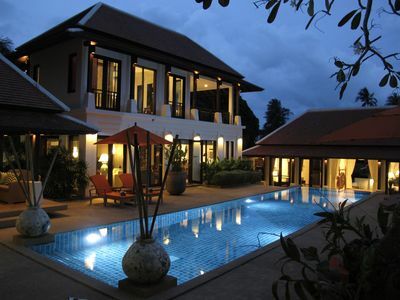 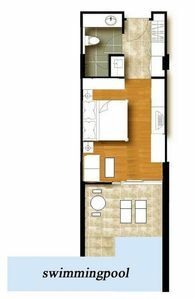 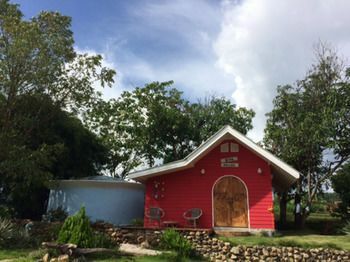 It is designed to offer a perfect indoor/outdoor lifestyle from every room. 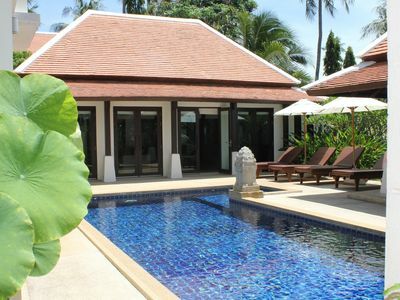 Have a drink at your own pool bar while enjoying the views of the Rawai Bay in total privacy.